Artists often experiment with different substrates. For artist Emily Randolph, her continuous use of Dibond aluminum composite showcases its versatility. 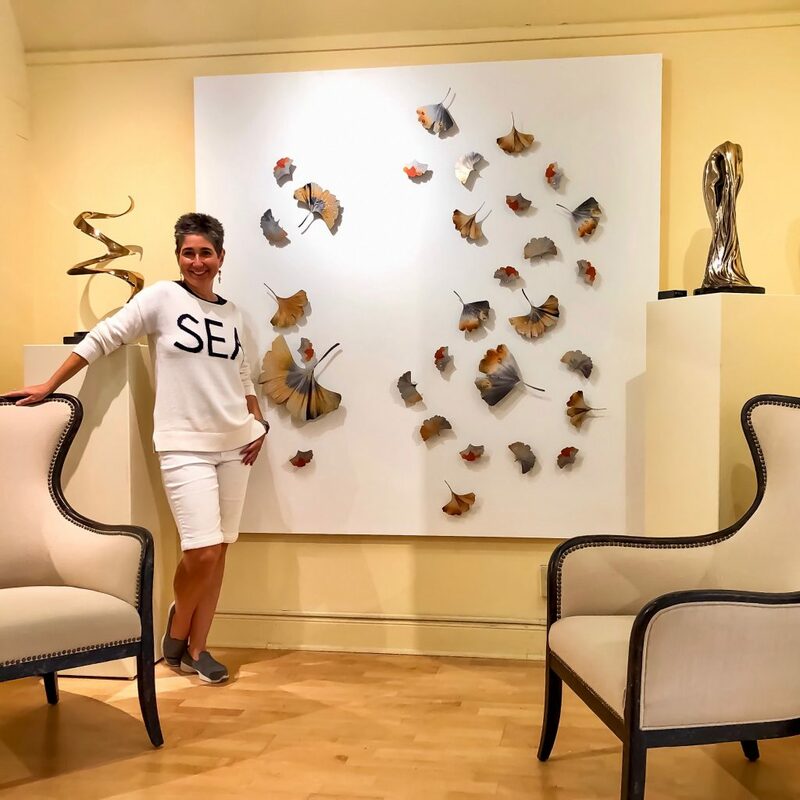 For her latest piece ‘Cascade’ currently on debut at the Bennett Sculpture Carmel in California, she demonstrates her expertise as a mixed-use artist. 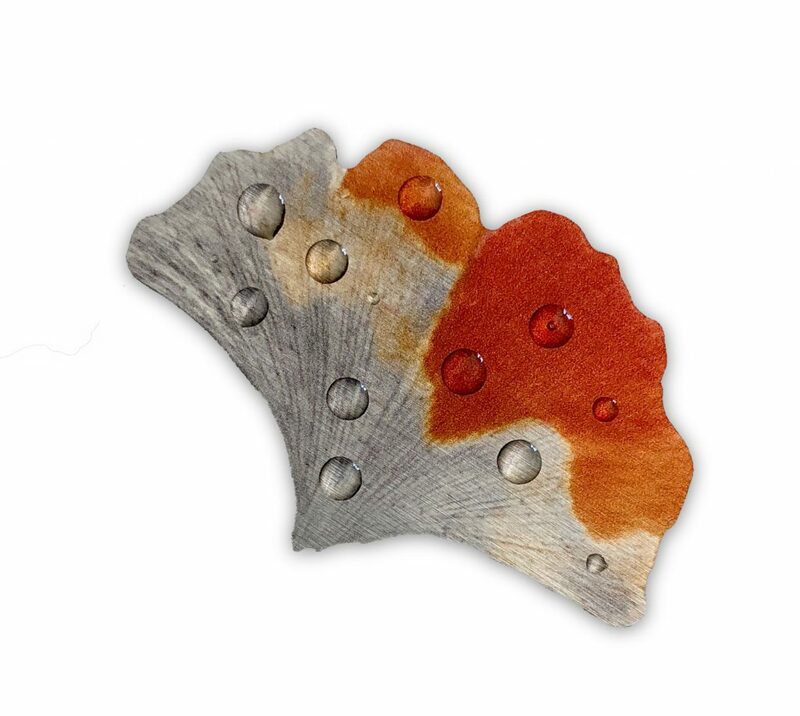 Her works often use real flora with a mixture of resin and glass on a Dibond aluminum composite substrate. ‘Cascade’ also utilizes metallic paint and a glaze to give the effect of water. 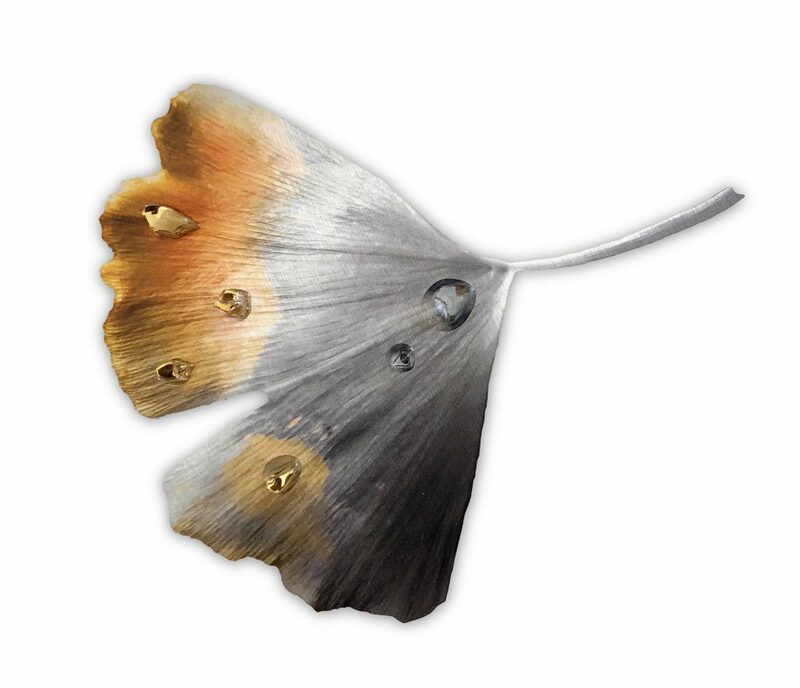 Randolph additionally seeks inspiration from happiness deriving meaning in each piece, for this piece the intentional use of gingko tree leaves embodies endurance and longevity as ancient symbolism describes. 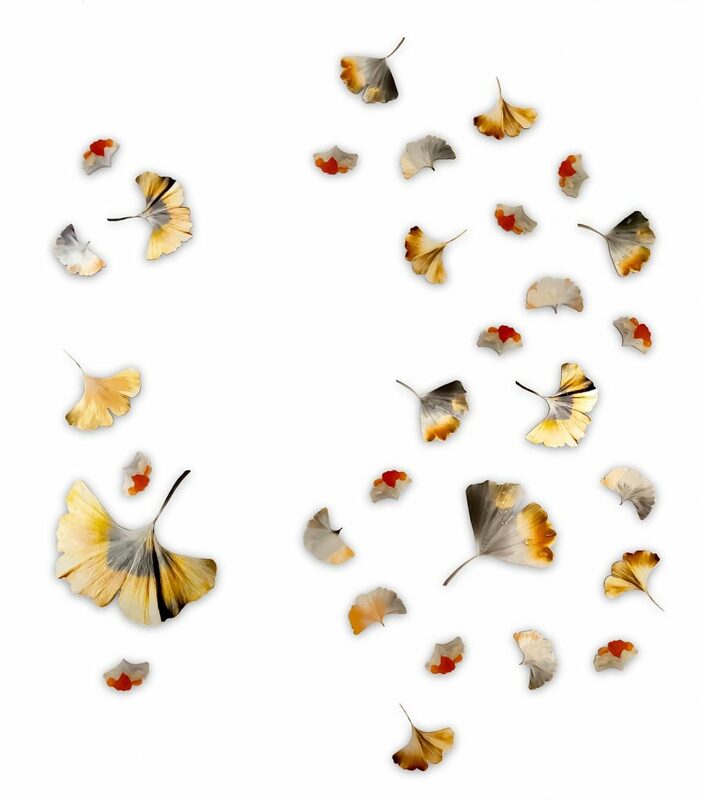 The leaves are installed separately and are offset from the backing to create dimension and shadow. Their placement mimics their natural progression towards the earth when the eyes follow their cascading movement downward. The 30 individual leaves create a cohesive piece and when viewed closely the care and technique of each leaf is further appreciated.